When you live in a small apartment, your “junk pile” can grow very quickly. You start with less space, which already limits your ability to store items and encourages you to designate an area for your junk. As more time passes, that designated space continues to grow until it reduces your free space even more, making it harder to put your items anywhere but the junk pile. Thus, the cycle continues. That cycle can be broken. If you’re interested in making your apartment look nicer, making it healthier, or just freeing up some space, you’ve come to the right place. West Coast Junk’s apartment junk removal services are exactly what you need. How many times have you said that you’ll “eventually” get to cleaning up the apartment? We get it. After working all week, you want to actually have an opportunity to sit back and relax for a couple days when the weekend comes. Making several trips up and down the stairs or out to the dump just doesn’t sound like a very fun way to spend your Saturday. In fact, just seeing the clutter might be bringing you down. According to LifeHacker, a few years ago a team from UCLA ran a study and found that having a messy area “overloads your senses, making you feel stressed, and impairs your ability to think creatively.” That doesn’t just ruin your Saturday, that ruins your every day. 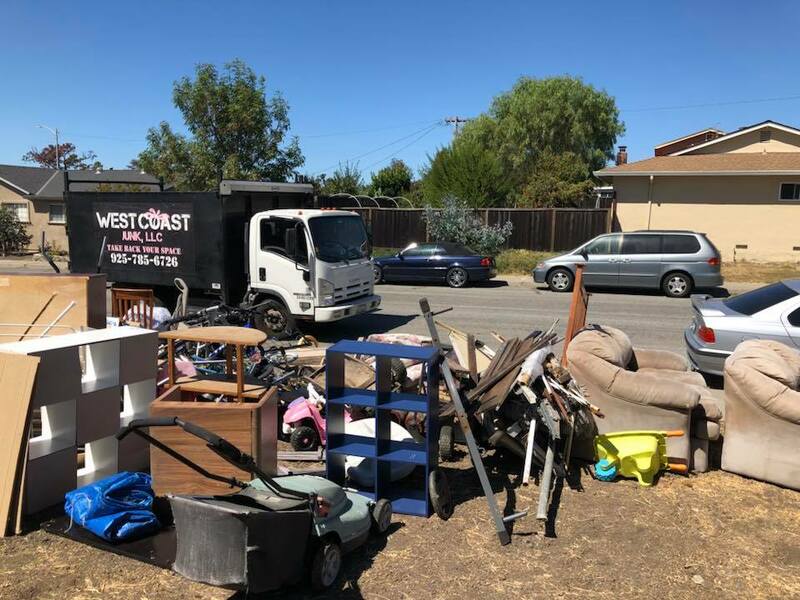 Here at West Coast Junk, we’re more than happy to do a little apartment junk removal for you. We even work on Saturdays. Our team can help you clean out old mattresses, furniture, appliances, trash, and much, much more. You’ll enjoy all the benefits of a clean, clear apartment without having to do any of the work. Aside from being able to actually walk through your apartment, there are many benefits to clearing out space. When items have been sitting for a while, they tend to build up all kinds of dust, grime, bacteria, and even insects. Anytime there’s a breeze through your apartment, those particles are getting blown around onto other surfaces, aggravating your allergies or making you sick. Feeling like you’re stuck in a rut? Apartment junk removal gives you the opportunity to make a change. With more room, you can move your furniture around and completely change the look of your living space. This can have a profound impact on how you feel about your home – a feeling that will carry over to other parts of your life as well. Even if you’re not the one actually carrying the old television or toilet out the door, you’ll be happy to feel like you’ve accomplished something just by getting it out. It’s a “letting go” that helps you focus on what’s coming next instead of hanging on to the past. There are certain items that West Coast Junk can’t take off of your hands: chemicals, firearms, and loose dirt, for example. 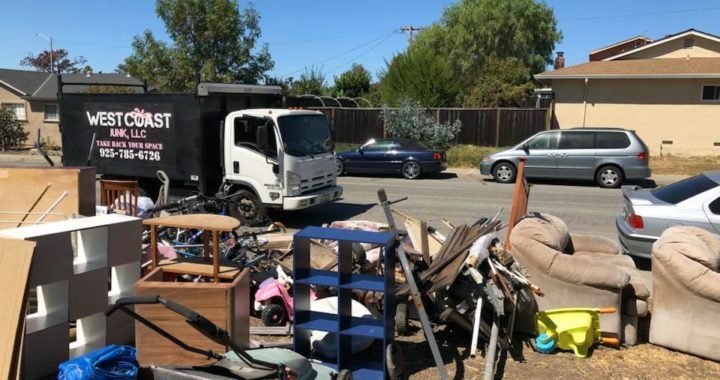 Aside from these things, our apartment junk removal services can help just about anyone in the Bay Area. We are based out of Dublin, CA, and are happy to service San Francisco, San Jose, Livermore, Cupertino, Los Gatos, Santa Clara, and more than a dozen other cities. You can find the full list here. If you’re tired of staring at the pile of junk that has been building in your apartment for weeks, months, or even years (we don’t judge! ), you can start fixing your problem today. Call West Coast Junk at (925) 785-6726 or reach out to us through the contact form on our site. Apartment junk removal is a breeze when you have experts like us! Posted in Apartment & Home Clean Out, Junk Removal.